The bivalent human papillomavirus (HPV) vaccine (Cervarix, GlaxoSmithKline) offers excellent protection against the more serious immediate precursor to invasive cervical cancer (ICC), particularly when given to young adolescent girls before they become sexually active. The findings of two studies published Online First on November 8, 2011 in The Lancet Oncology, also show that the vaccine partially protects against four other cancer-causing HPV types not targeted by the formulation, that together with HPV16/18, cause about 85% of cervical cancer worldwide. "Provided that organized vaccination programmes achieve high coverage in early adolescents before sexual debut, HPV vaccination has the potential to substantially reduce the incidence of cervical cancer, probably allowing modification of screening programs… when conducted alongside vaccination strategies," explains one of the lead authors, Dr. Matti Lehtinen from the University of Tampere in Finland. The bivalent vaccine targets HPV types 16 and 18 that are responsible for about 70% of cervical cancers. Most studies of vaccine efficacy have focused on prevention of cervical intraepithelial neoplasia 2 (CIN2) or higher. However, CIN3 is generally believed to be a more reproducible and predictive endpoint than CIN2, and often progresses to ICC. In 2009, the PApilloma TRIal against Cancer In young Adults (PATRICIA), the largest study of HPV16/18 vaccine efficacy to date, reported that the bivalent vaccine had high efficacy against the precancerous cervical lesions CIN2+. The study included almost 20 000 healthy women aged 15-25 years from 14 countries in Asia-Pacific, Europe, Latin America, and North America. Women were randomly assigned to receive the bivalent HPV vaccine or a control (hepatitis A) vaccine, given in three doses at enrollment, 1 month, and 6 months. Unexpected discovery of a new molecular signature for a destructive and often lethal pediatric liver disease may lead to a new therapeutic target for the hard-to-treat condition. In a study that included human livers and a mouse model of biliary atresia, researchers report in the November 2011 issue of the Journal of Clinical Investigation that not all children with biliary atresia share the same disease process. Some patients have a second molecular conductor of disease called the Th2 (T helper cell 2) immune system. Biliary atresia is disease that destroys the bile ducts in and near the liver in the first few months of life. Driven by an overly aggressive immune system response after birth, the condition is the most common cause of severe pediatric liver disease. The ducts, which normally carry bile from the liver and gall bladder to the intestines, become blocked over time. Even with treatment, which can include surgery, children often need a liver transplant within two years of birth. Despite the need for better therapies, progress has been hampered by a limited knowledge of biological processes driving the disease, according to Dr. Jorge Bezerra, principal study investigator and a researcher/physician in the division of Gastroenterology, Hepatology and Nutrition at Cincinnati Children's Hospital Medical Center. "Our findings add a new dimension to the understanding of biliary atresia," Dr. Bezerra said. "They provide a potential target for new therapies and have implications for clinical trials. Now, depending on the molecular signature of a child's disease, we can develop new strategies to also target the Th2 immune system with anti-inflammatory agents." Dr. Bezerra said physicians have learned in clinical trials that not all children with biliary atresia respond in similar fashion to the same treatment protocols. In the world of engineering, "noise" – random fluctuations from environmental sources such as heat – is generally a bad thing. In electronic circuits, it is unavoidable, and as circuits get smaller and smaller, noise has a greater and more detrimental effect on a circuit's performance. Now some scientists are saying: if you can't beat it, use it. Engineers from Arizona State University in Tempe and the Space and Naval Warfare Systems Center (SPAWAR) in San Diego, California, are exploiting noise to control the basic element of a computer – a logic gate that can be switched back and forth between two different logic functions, such as AND\OR – using a genetically engineered system derived from virus DNA. In a paper accepted to the American Institute of Physics (AIP) journal Chaos, the team has demonstrated, theoretically, that by exploiting sources of external noise, they can make the network switch between different logic functions in a stable and reliable way. The scientists focused on a single-gene network in a bacteriophage λ (lamda). 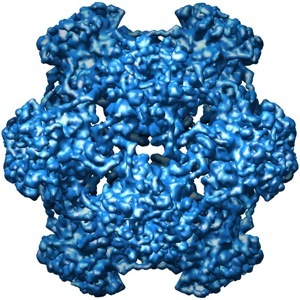 The gene they use regulates the production of a particular protein in the virus. Normally, there are biological reactions that regulate the creation and destruction of this protein; upsetting that balance results in a protein concentration that is either too high or too low. The scientists assigned a "1" to one concentration and a "0" to the other. By manipulating the protein concentration, the team could encode the logic gate input values and obtain the desired output values. Researchers modeled the system as two potential energy "wells" separated by a hump, corresponding to an energy barrier. In the presence of too much noise, the system never relaxes into one of the two wells, making the output unpredictable. Many complications of diabetes, including kidney disease, foot problems, and vision problems are generally well recognized. But the disease's impact on the brain is often overlooked. For the past five years, a team led by Beth Israel Deaconess Medical Center (BIDMC) neurophysiologist Dr. Vera Novak, has been studying the effects of diabetes on cognitive health in older individuals and has determined that memory loss, depression, and other types of cognitive impairment are a serious consequence of this widespread disease. Now, Dr. Novak's team has identified a key mechanism behind this course of events. In a study published in the November 2011 issue of the journal Diabetes Care, they report that in older patients with diabetes, two adhesion molecules – sVCAM and sICAM – cause inflammation in the brain, triggering a series of events that affect blood vessels and, eventually, cause brain tissue to atrophy. Importantly, they found that the gray matter in the brain's frontal and temporal regions -- responsible for such critical functions as decision-making, language, verbal memory, and complex tasks – is the area most affected by these events. "In our previous work, we had found that patients with diabetes had significantly more brain atrophy than did a control group," explains Dr. Novak, Director of the Syncope and Falls in the Elderly (SAFE) Program in the Division of Gerontology at BIDMC and Associate Professor of Medicine at Harvard Medical School. "In fact, at the age of 65, the average person's brain shrinks about one percent a year, but in a diabetic patient, brain volume can be lowered by as much as 15 percent." Diabetes develops when glucose builds up in the blood instead of entering the body's cells to be used as energy. Known as hyperglycemia, this condition often goes hand-in-hand with inflammation. Dr. Although Burkitt’s lymphoma is thankfully fairly rare in the general population, it is the most common form of malignancy in children in Equatorial Africa and is very frequent in immunocompromised persons, such as those suffering from AIDS. It is invariably accompanied by an increase in the expression of a particular gene, the so-called c-myc gene. An increased level of c-myc is not usually enough to cause cancer and most patients also have alterations to another gene. The groups of Dr. Veronika Sexl at the University of Veterinary Medicine, Vienna (Vetmeduni Vienna), and Dr. Dagmar Stoiber at the Ludwig Boltzmann Institute for Cancer Research, Vienna, have recently provided important new information on how the nature of the additional alterations shapes the course and onset of disease. The results are published in the October 27, 2011 issue of the journal Blood and are of immediate relevance to lymphoma treatment. The human c-myc gene encodes a transcription factor (MYC) involved in the regulation of a vast number of other genes – it has been estimated that the transcription of about one in six genes is somehow under the control of MYC. Perhaps because of MYC’s wide range of targets, mutations of the c-myc gene are frequently associated with a variety of tumors, not only with Burkitt’s lymphoma. Mutations that lead to excessive amounts of the MYC protein are particularly threatening. It has long been known that Burkitt’s lymphoma only develops when MYC is mutated or overexpressed, although experiments in mice have shown that some animals live quite happily and healthily with higher levels of the MYC protein. This observation is consistent with the “second hit” model for the origin of cancer: as well as a change to c-myc, a second gene must also be disturbed before disease is initiated.